Autumn Lindberg got used to being interrupted with her dad, Ted Esquivel, at the grocery store when people would come up and say they remembered a story he’d shared years ago. That’s what happens when you’re a professional storyteller. 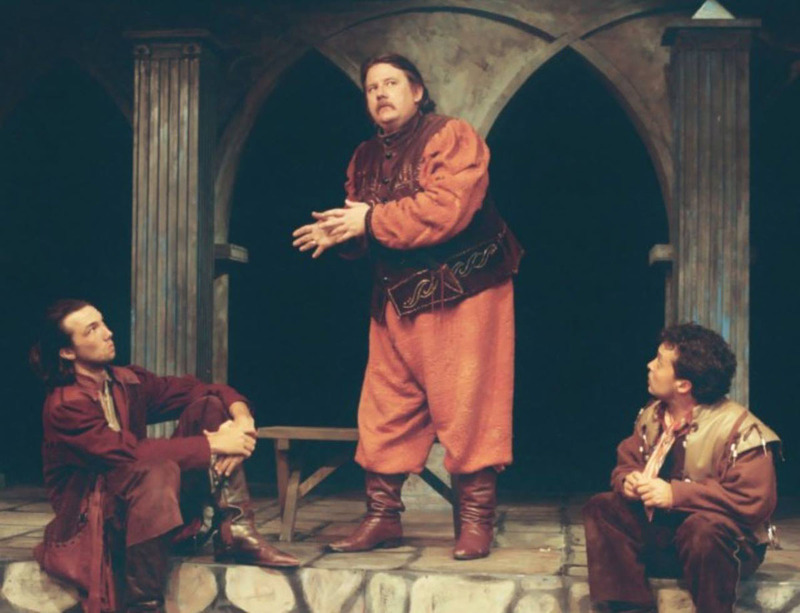 [caption id="attachment_2143" align="alignnone" width="1200"] Actor and storyteller: Ted Esquivel as the Player in the 1992 Good Company Players production of "Rosencrantz and Guildenstern Are Dead." Photo / GCP[/caption] Esquivel, who died June 8 at age 62, knew what he was doing when it came to stories, his daughter remembers. His trick was to get the audience involved. In one classic tale of his, about a fox who gets his tail chopped off and has to jump through a bunch of hoops to get it back, Esquivel would divide the audience into sections and have one play, say, the river. He’d point at them from time to time and ask them to put up their hands to suggest a whooshing sound. ‘He got people so engaged that people would remember those stories years later,” Lindberg says. Mr. Esquivel plied his trade at the aptly named (for him) Storyland in Roeding Park, as well as various elementary schools, private schools and camps, and youth parties and adult parties as Santa Claus, says longtime friend William Raines.